>One of the principal tasks for legal research at the beginning of the 21st century is to reconstruct the understanding of the relationship between the legal system and the market order. 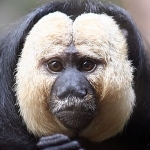 After almost three decades of deregulation driven by a belief in the self-equilibrating properties of the market, the financial crisis of 2008 has reminded everyone of the fundamental truth that markets have legal and institutional foundations, without which they cannot effectively function. The chapters in the present volume are the result of work by a group of legal scholars which began in the mid-2000s, at a time when the shortcomings of deregulatory policies were becoming clear in a number of contexts. The chapters address the question of how the language of contract law describes or conceptualises the market order and the relationship of the law to it. The perspectives taken are, in turn, historical, comparative, and context-specific. The focus of the book is on a foundational idea, the concept of capacitas, which signifies a status conferred upon citizens for the purpose of enabling them to participate in the economic life of the polity. In modern legal systems, 'capacity' is the principal juridical mechanism by which individuals and entities are empowered to enter into legally binding agreements and, more generally, to arrange their affairs using the instruments of private law. Legal capacity is thereby the gateway to involvement in the operations of a market economy. >This book is the product of a collaborative initiative, the Capacitas project, which began life in the early 2000s. Its initial impetus was provided by the debate over the report to the European Union on the future of labour law and the transformation of the employment relationship, which was prepared by a group convened by Alain Supiot and published in 1999 under the title Au delà de l’emploi (Beyond Employment). One of the themes raised in the report was the relevance of economic concepts of ‘capability’ in framing policy responses to the growing flexibilisation of labour market relations. In the early 2000s, building on this work, a research project entitled ‘Social Dialogue, Employment and Territories: Towards a European Politics of Capabilities’ (or Eurocap) was launched under the auspices of the EU’s Fifth Research and Development Framework Programme. This was an interdisciplinary project involving social scientists from a number of disciplines, including legal researchers, together with representatives of the social partners, civil society organisations and political actors with an interest in the future of European economic integration and social policy. As part of Eurocap, two workshops were convened—in Nantes in 2003 and Cambridge in 2005—to discuss legal aspects of the capability agenda. This work took the form, in part, of a discussion of the implications for legal analysis of Amartya Sen’s ‘capability approach’. It is very largely thanks to Sen that the concept of capability has achieved a degree of systematisation of the kind needed to make it an essential point of reference in social and economic policy debates. However, for lawyers and jurists, the capability approach is not simply something to be received from the discourses of other disciplines. Legal discourse contains within it ideas which, to some degree, correspond to the economic notion of capability, although the match is not exact. 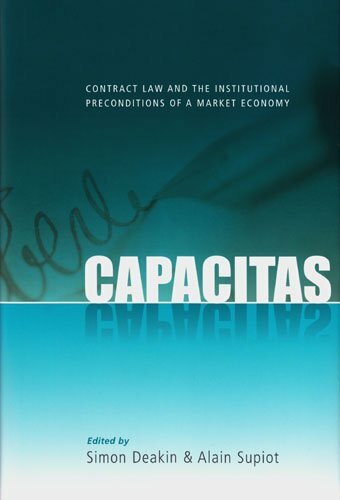 The legal concept of ‘capacity’, or capacitas, which provides the focus for the chapters in this book, is both a much older idea than the contemporary economic notion of capability and also one which is embedded in a particular process of institutional evolution, which has been going on since the late eighteenth century. Charting the evolution of ‘capacity’ and examining its significance today in a range of contexts is part of the process of understanding how ideas such as ‘capability’ are operationalised in the very concrete setting of contract law and contractual relations.With that objective in mind, this volume is intended as a contribution to the wider project, of which Eurocap was a part, of the normative realisation of a capability-based agenda for economic and social reform. Eurocap was an international and multilingual project. Each paper in the present volume appears in the original language (French or English) in which it was written. We are grateful to the publishers and editors of the European Review of Contract Law and European Review of Private Law for permission to draw on previously published material in respect of chapters 1 and 3 respectively.